I took the newlywed couple down to the beach after their intimate ceremony at the Montage Laguna Beach. The sun was setting so we had beautiful golden light. 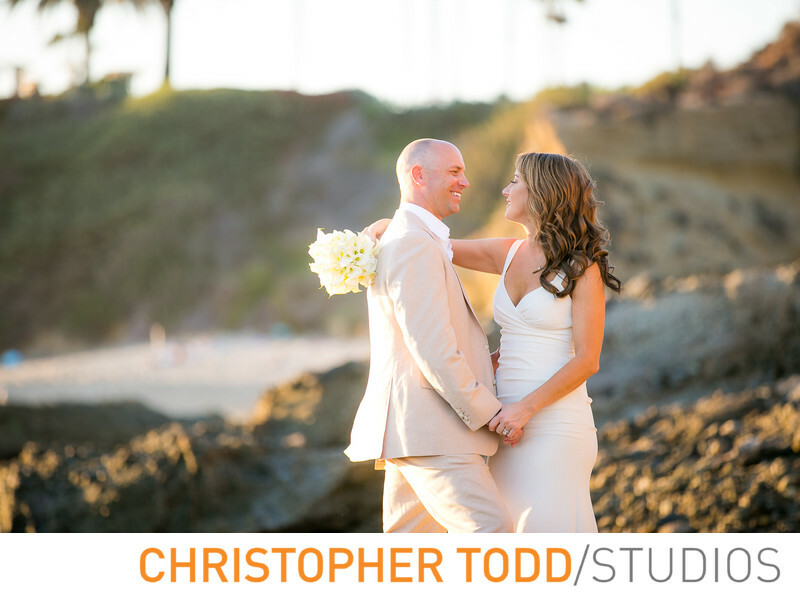 Laguna Beach is a romantic spot for portraits of the bride and groom. We spent about 20 minutes down at Victoria beach in Laguna. This is one of my favorite photos of the bride and groom. 1/250; f/2.8; ISO 160; 200.0 mm.